When hiring an attorney to represent you in your family law/domestic relations matter, it is extremely important to find an individual who has the necessary experience and skills to handle your case. 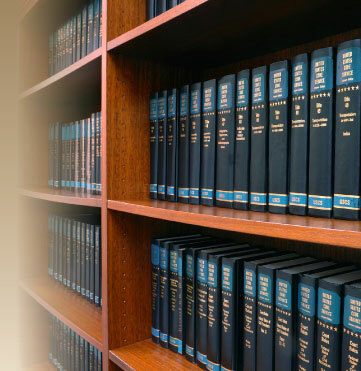 In order to learn more about our attorneys, please review their biographies, below. • Howard Ecker is the managing partner of the Ecker Law Group, a professional limited-liability partnership located in Las Vegas, Nevada. Immediately prior to forming the Ecker Law Group – which is an "AV" rated law firm specializing in the area of family law/domestic relations - Mr. Ecker was the senior partner at the law firm of Ecker & Kainen, Chartered. • Mr. Ecker is a Nevada certified specialist in Family Law who has been in private practice since 1977, and who has practiced exclusively in the areas of Domestic Relations and Family Law for the vast majority of that time. Mr. Ecker maintains the highest possible rating – an "AV" rating – by the prestigious Martindale-Hubbell Law Directory. • Mr. Ecker has been a fellow of the American Academy of Matrimonial Lawyers since 1999, and has been elected into every edition of "The Best Lawyers in America," since 1995. • Prior to entering private practice in 1977, Mr. Ecker was a Public Defender in Clark County. Thereafter, he served on the Executive Council of the Family Law Section of the State Bar of Nevada (1984-1990). 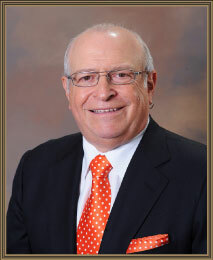 • Mr. Ecker also served as a member of the Board of Governors of the State Bar of Nevada (1984-1990); as a member of the Board of Governors of the Nevada Trial Lawyer's Association (1977-1989); and as President of the Nevada Trial Lawyer's Association (1985-1986). • Mr. Ecker is currently a member of the Clark County Bar Association, the Family Law Section of the State Bar of Nevada, and is the President of the Nevada Chapter of the International Network of Boutique Law Firms. • In 1991, Mr. Ecker was the recipient of the Guardian ad Litem award from the Court Appointed Special Advocate program of the Eighth Judicial District Court, in honor of his service in assisting children whose families were entrenched in domestic litigation. • Mr. Ecker was also involved with a committee developed under the direction of the Family Court Judges for the purposes of developing the "Coping with Divorce" seminar for divorcing parents. Attendance at this program is now a requirement for all parties undergoing a divorce in the Eighth Judicial District Court. • Mr. Ecker has regularly been a guest lecturer in the field of domestic relations law, participating in seminars sponsored by the Nevada Trial Lawyers Association, the State Bar of Nevada and the Association of Family and Conciliation Courts. Mr. Ecker most recently lectured at the State Bar of Nevada Advanced Family Law CLE seminar on December 9, 2010, on the topic of Law Office Management, and at the American Academy of Matrimonial Lawyers Mid-Year Meeting in Maui, Hawaii, on March 23, 2011, on the topic of Cohabitation Agreements. • Mr. Ecker received his B.A. from the University of Michigan and earned his J.D. from New York University Law School. Mr. Ecker was admitted to the State Bar of Nevada in 1973; the United States District Court, District of Nevada, in 1974; and the United States Supreme Court and the United States Court of Appeals, Ninth Circuit Court of Appeals in 1976.